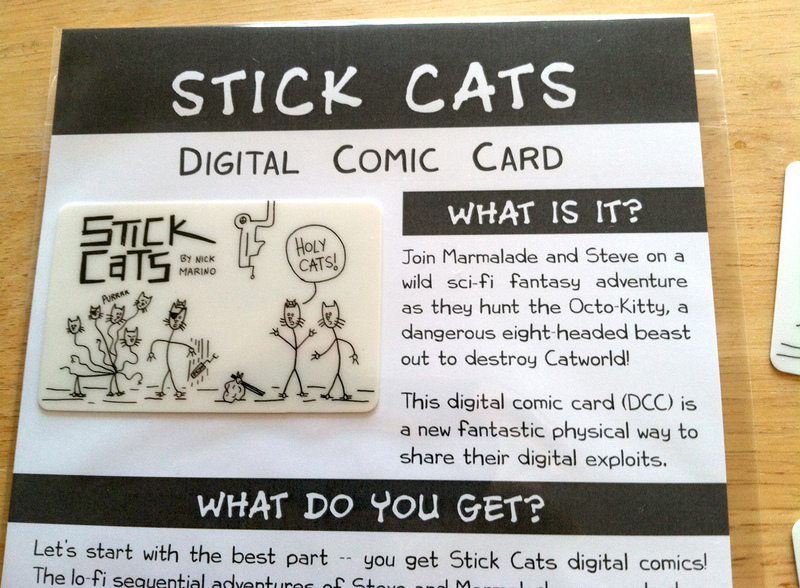 Marmalade and Steve are on a quest to take down the Octo-Kitty, a dangerous hydra-like creature with eight adorable kitten heads. Stick Cats comics and songs chronicle their wild lo-fi adventure, taking you from the shores of Bengal Beach to the desolate Litterbox Desert and beyond. 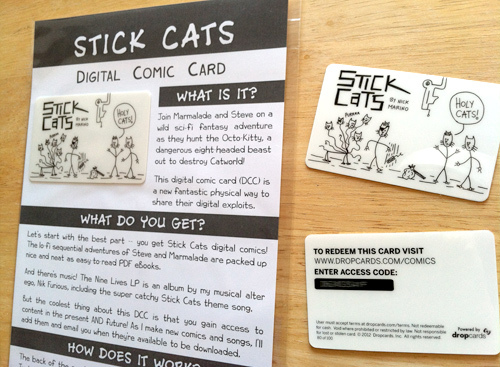 This digital comic card (DCC) is the most awesomest and super-bestest way to own the digital saga of the Stick Cats! 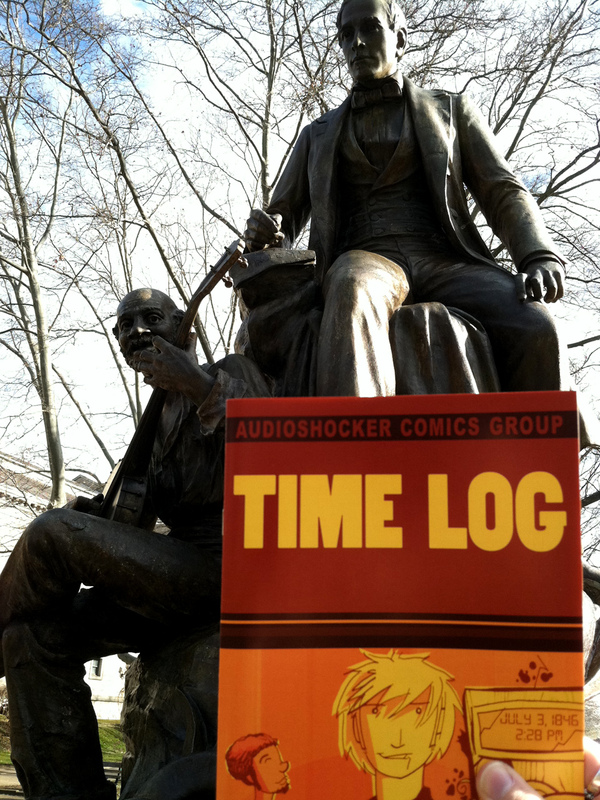 It's a multimedia roundhouse to the face, featuring sequential stories and stellar sonics that'll knock you on your booty. 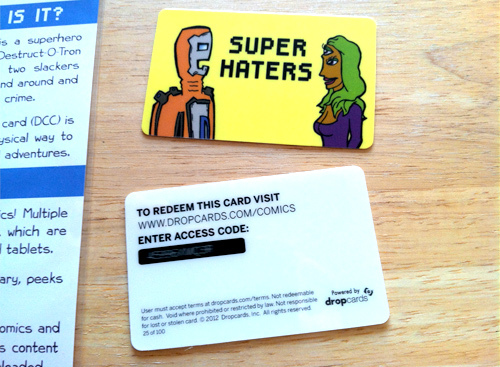 Currently, this DCC can be redeemed at dropcards.com/comics by entering the unique download code found on the back of the card. 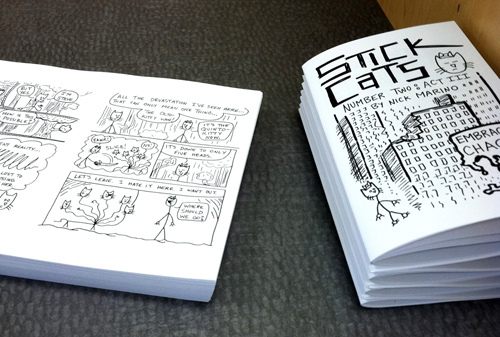 If you're interested in owning your own Stick Cats DCC, email me for details. 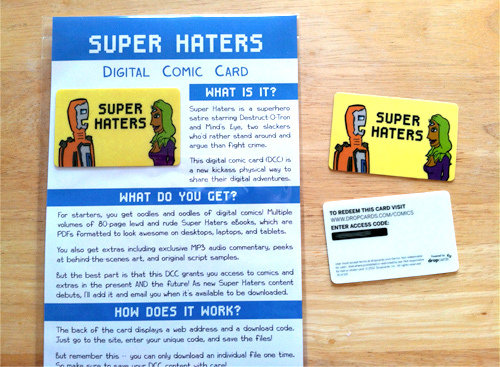 In my opinion, the digital format is where the Super Haters thrive. 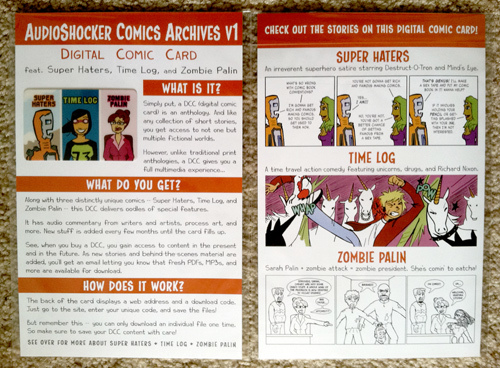 Digital is how new Super Haters comics are produced every week. It's where the colors pop just right and where I get to try out storytelling tricks that don't work the same way in print. 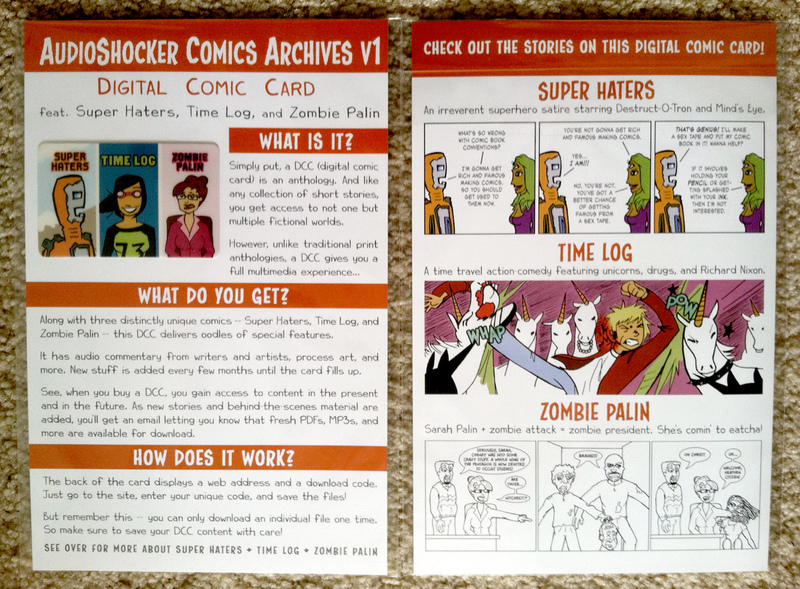 That's why I'm thrilled to bring you this new digital comic card (DCC) packed full of Super Haters stories and extras. 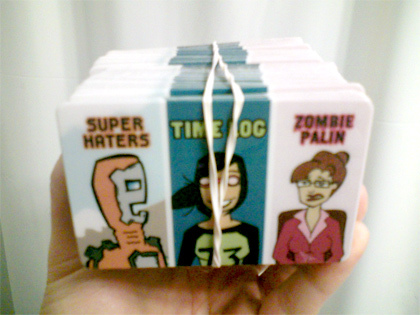 Debuting at SPX 2012, this is the ultimate way to own the digital adventures of Destruct-O-Tron and Mind's Eye. Currently, this DCC can be redeemed at dropcards.com/comics by entering the unique download code found on the back of the card. 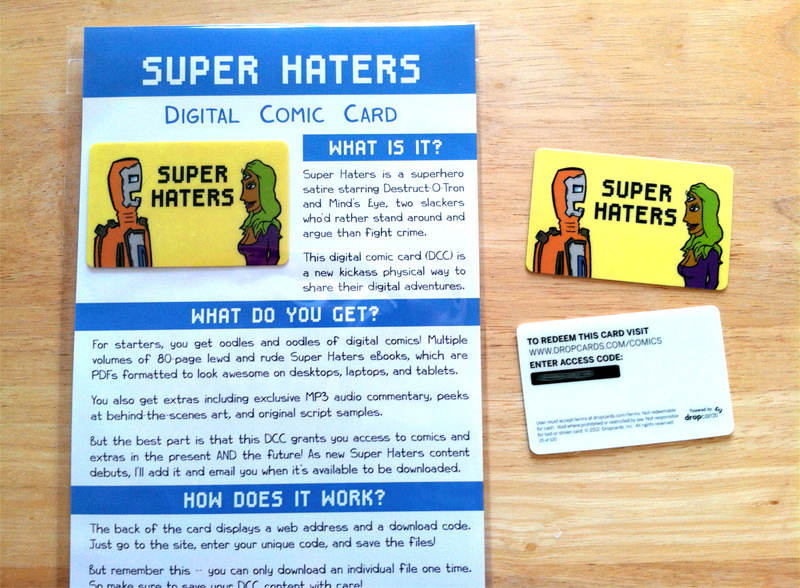 If you're interested in owning your own Super Haters DCC, email me for details.